The family of former South Korean President Chun Doo-hwan, who was convicted of corruption, vows to pay back an estimated $154 million of corruptly-obtained assets. The former dictator’s son said the family would hand over various assets in restitution to the state. 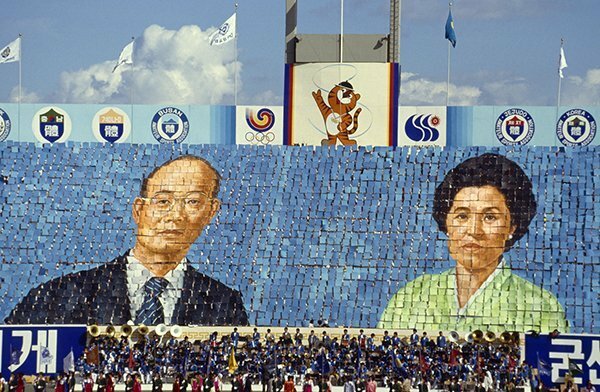 A former military general, Chun Doo-hwan was leader from 1979 to 1988 after a coup. In 1996 he was convicted for treason, corruption and mutiny, but pardoned in 1997 and ordered to pay compensation for the slush fund he had amassed. Part of the charges against the 82-year-old former leader involved collecting hundreds of millions of dollars in bribes during his term in office. He was originally ordered to pay 220 billion won ($202 million) in restitution to the state. He paid some of the money, but said he did not have enough to settle the rest. Chun Doo-hwan’s four children will hand over assets that include expensive art and a house in the capital, Seoul, where Chun and his wife are currently staying, reports say. His son called a news conference to apologize to the nation following months of renewed efforts by prosecutors to recover the money. “I bow my head in apology on behalf of the family for having caused concerns regards to the issue of penalty payment,” Chun Jae-kook, Chun Doo-hwan’s eldest son, said in the capital, Seoul, on Tuesday.